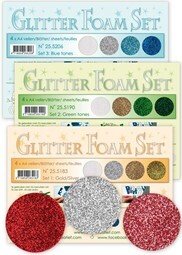 The Glitter Foam is available in 11 colours. It can easily be cut with Lea’bilitie cutting dies or cut with the scissors. 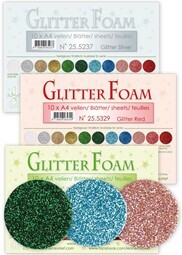 For gluing you can use a glue gun or 3D kit.